Arnold House is a rare surviving example of a stone-ender, a once-common building type featuring a massive chimney end wall. 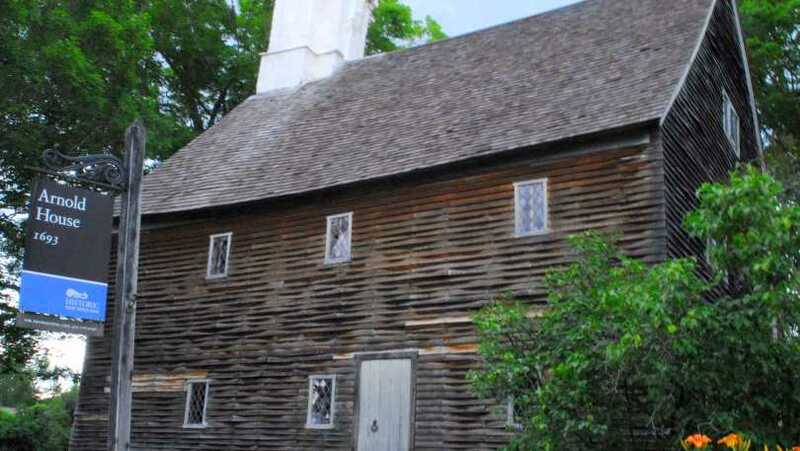 Built by Eleazer Arnold in 1693, the house features stone work that reflects the origins and skills of the settlers who emigrated from the western part of England. 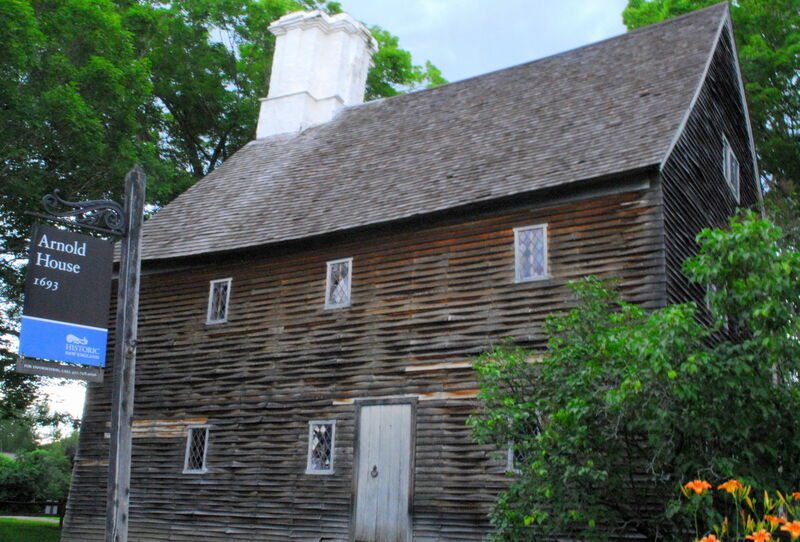 Arnold, a landowner with a wife and ten children, secured a license for a “Publick House.” Tavern customers were probably served in the great room or hall of the house. The structure has sustained many alterations over the centuries. Visitors find evidence of seventeenth-century construction methods, eighteenth-century additions, nineteenth-century graffiti, and the twentieth-century approach to preservation that restored the house to its present appearance. Year round tours weekends on the hour.